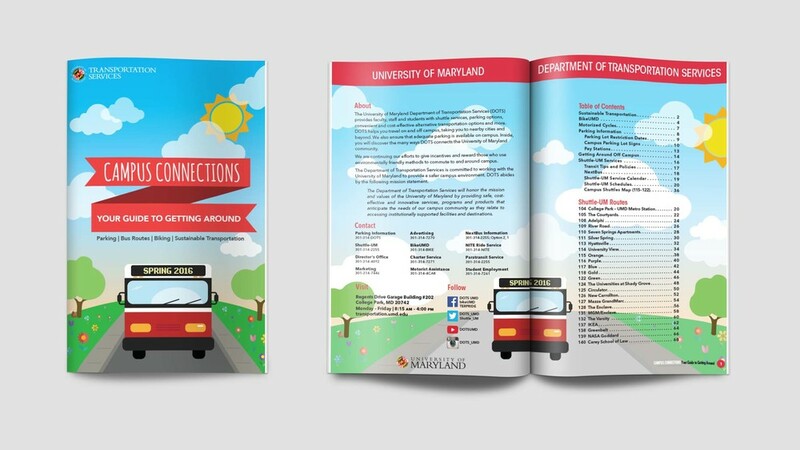 Each semester the Department of Transportation Services (DOTS) releases a new transit guide that includes information about the department and schedules for shuttle routes. 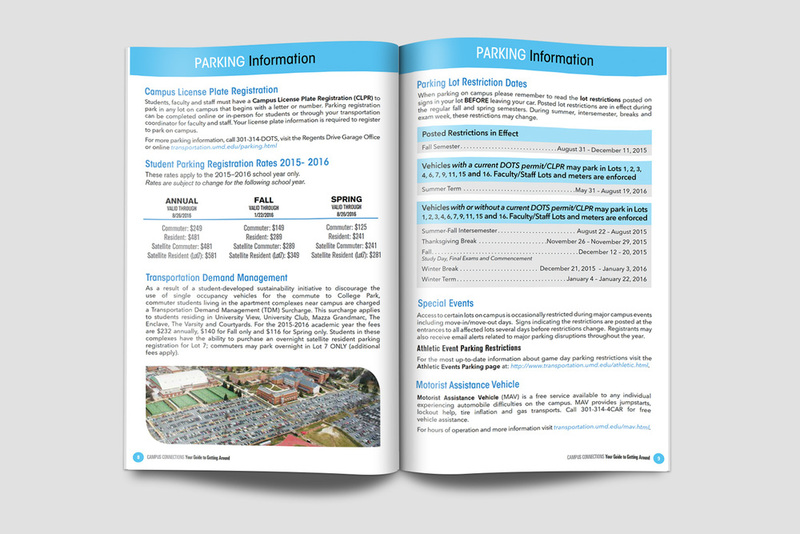 Unfortunately, the department does not have the warmest following at the university because they are also responsible for enforcing parking tickets. I decided to create designs that were very upbeat and fun, in hopes of altering the perception of DOTS on campus.